Here it is! We are so EXCITED for the soft launch of our Patreon page! Our award-winning show, which we provide free online, on podcast and on Pacifica stations and affiliates, is made possible only by our volunteer energy and resolve to keep the people’s voices on the air. 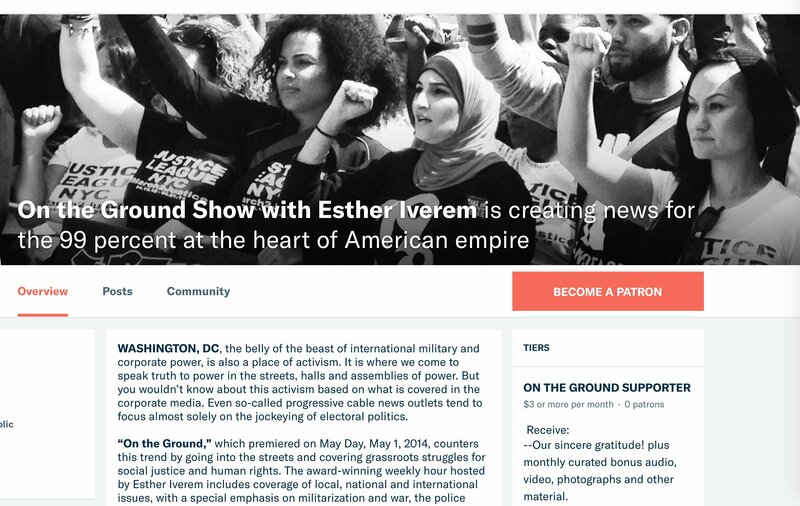 Please click here to help us continue our work with as little as $3 a month.We will continue to develop our Patreon site.We are also working on a Paypal link and will post it when it is finalized.